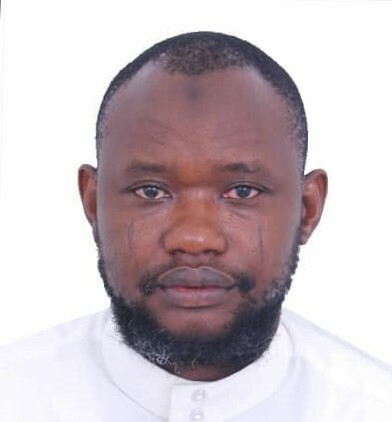 Dr. Ismaila K. Aliyu completed his MS and Ph.D. in Mechanical Engineering at KFUPM, then joined the Petroleum Engineering Department at CPG, July 2018, as a postdoctoral researcher. His current passion is the application of mechanical engineering skills and experience for solving petroleum engineering problems. Before joining KFUPM, Dr. Ismail worked for Advanced Manufacturing Technology Programme (AMT-P), Nigeria. He has 11 years of teaching, engineering and research experience at both college and university levels in science and engineering subjects. Application of Tribology to rock cutting process during oil well drilling. Application of FEA to high high-pressure/high-temperature materials testing. Ismaila Kayode Aliyu, Abdul Samad Mohammed, Amro Al-Qutub. 2018. “Tribological Performance of UHMWPE/GNPs Nanocomposite Coatings for Solid Lubrication in Bearing Applications.” Tribology Letters 66 (2018) 144. Akeem Yusuf Adesina, Ismaila Kayode Aliyu, and Faisal M. AI-Abbas. 2015. “Microbiologically Influenced Corrosion (MIC) Challenges in Unconventional Gas Fields.” in CORROSION 2015. NACE International. Ismaila Kayode Aliyu, Saheb Nouari, Syed Fida Hassan, and Nasser Al-Aqeeli. 2015. “Microstructure and Properties of Spark Plasma Sintered Aluminum Containing 1 Wt.% SiC Nanoparticles.” Metals 5(1):70–83. Saheb Nouari, Ismaila Kayode Aliyu, Syed Fida Hassan, and Nasser Al-Aqeeli. 2014. “Matrix Structure Evolution and Nanoreinforcement Distribution in Mechanically Milled and Spark Plasma Sintered Al-SiC Nanocomposites.” Materials 7(9):6748–67.